The Acura TLX is more along the lines of a sleeper that is in existence to appease those who look for a quality vehicle with enduring luxury at a respectable price. 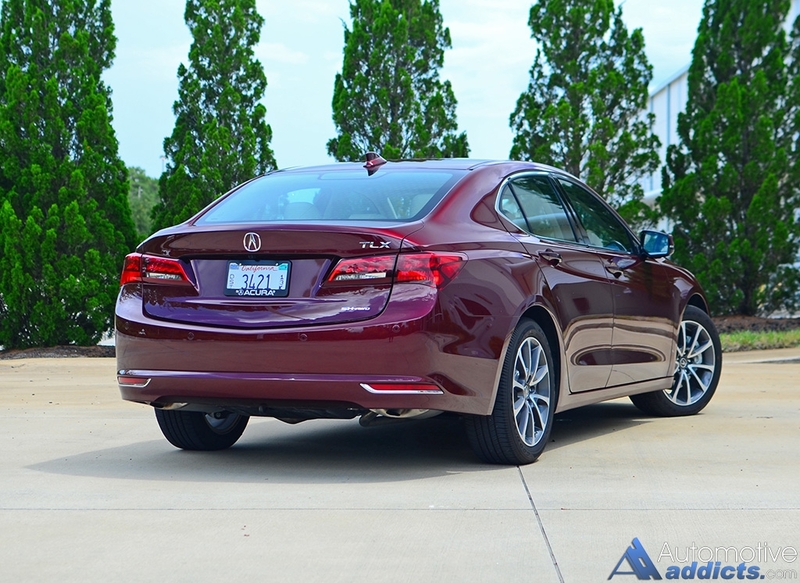 Though, I am not diminishing the qualities that the new TLX offer, it remains to be a luxury sports sedan on a level playing field that does exactly what it is supposed to without complaints. 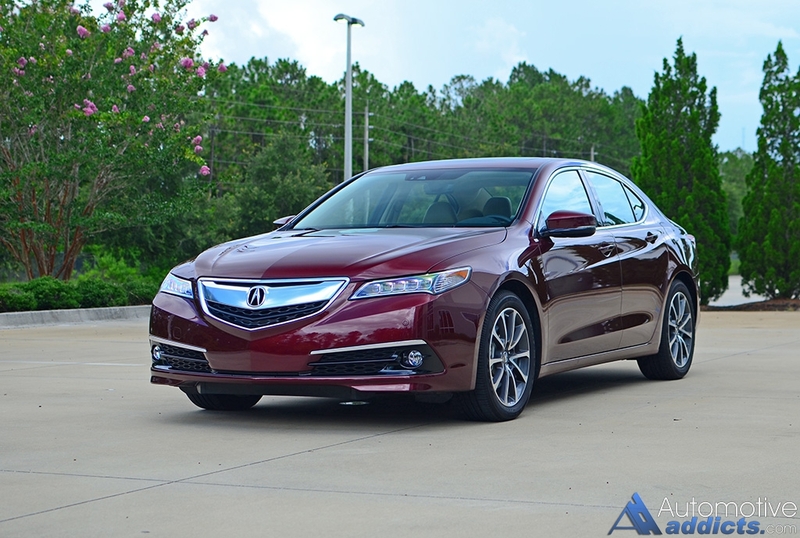 Remaining unchanged from its 2015 model year redesign departing from its TL predecessor, the TLX builds on the brand’s cachet as the best midsized luxury sedan from Acura yet. 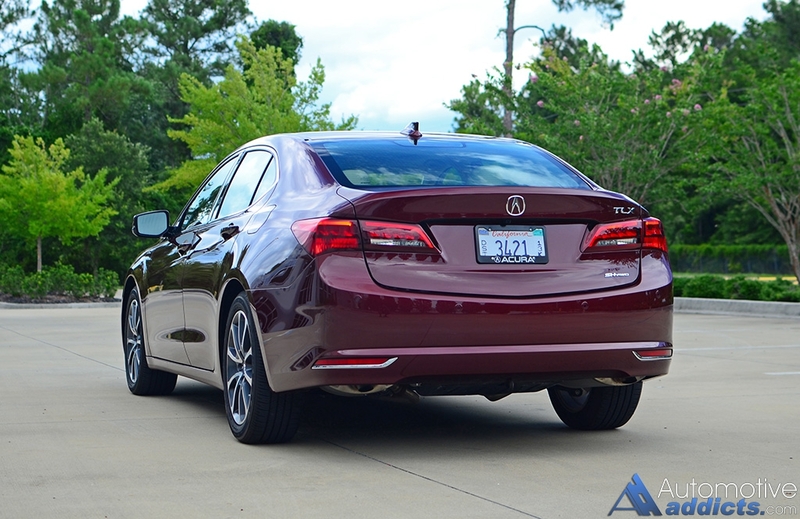 Most areas were improved upon in the redesign of the TL where the TLX sets most aspects in a forward motion for a much tighter-knit package without taking away much in the luxury appointments and performance one expects from Acura. Powered by the brand’s new 3.5-liter V6 engine, the TLX gets a modest 290 horsepower and 267 lb-ft of torque sent to all four wheels through the advanced SH-AWD (Super Handling All Wheel Drive) system in my top-trimmed TLX Advanced Package test vehicle. 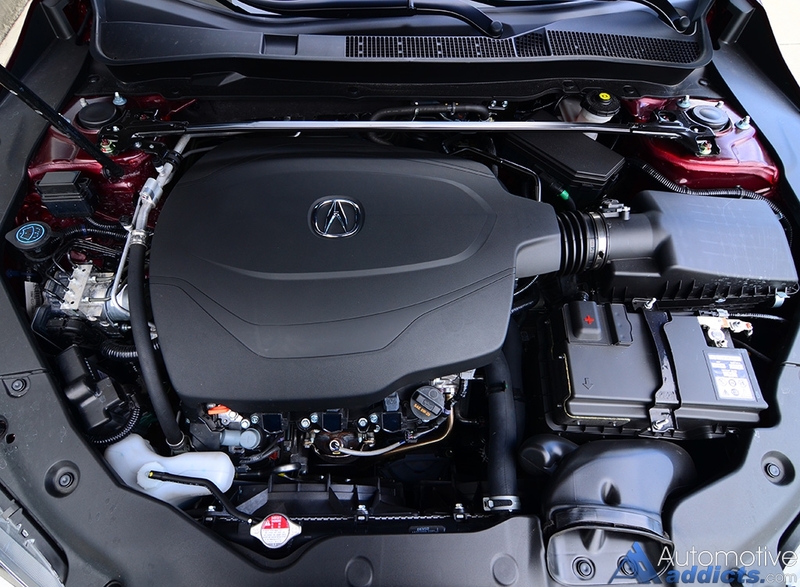 Acura continues to offer another powertrain option, the 2.4-liter turbocharged 4-cylinder engine with 206 horsepower sent to the front wheels through an 8-speed automated DCT (Dual-Clutch Transmission) with a P-AWS (Precision All Wheel Steering) system. 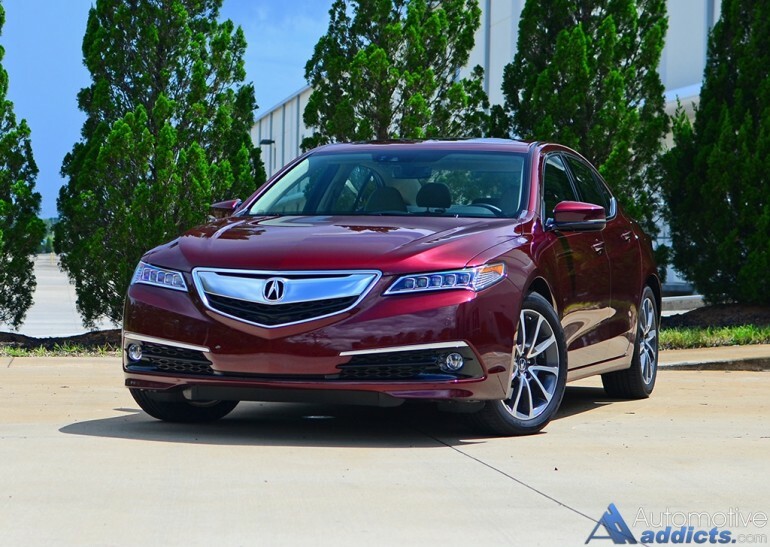 All TLX V6 trims have Acura’s 9-speed automatic transmission with either front wheel drive or the SH-AWD system. In the top-trimmed Advanced Package trim, the TLX is a respectable performer that puts its sure-footedness ahead of drive engagement or feedback. In that, the TLX is mostly a thoughtless effort when driving and fails to give back much feedback through its electric steering rack. 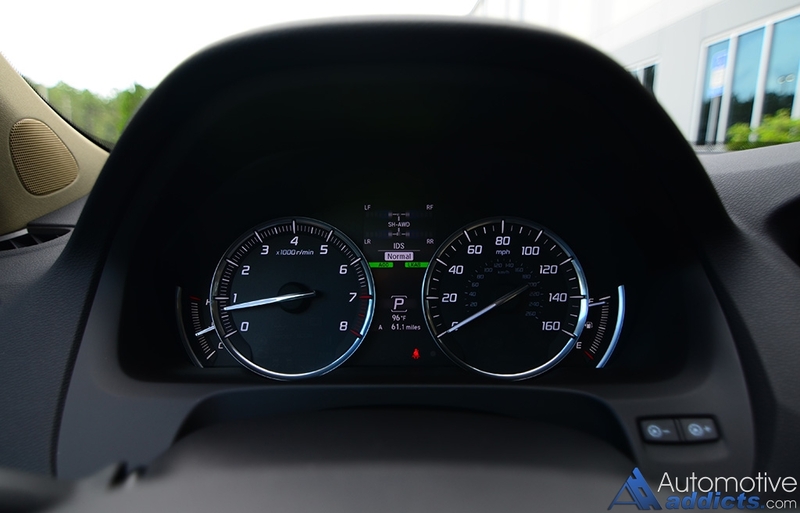 Though, at the TLX Advanced Package’s benefit, the assured and quick surging power from the V6 engine is more predictable than the turbo engine. Running in a straight line the TLX Advanced SH-AWD gets up to 60 mph in a decent 6.4 seconds. The 9-speed transmission does well to find the proper gear upon demands for additional power. Moreover, the transmission does a good job to hold onto gears longer and upshift sooner when the IDS (Integrated Dynamic System) drive mode (four modes: Economy, Normal, Sport, Sport+) is placed into Sport or Sport+. Fuel efficiency is mostly consistent and you can expect to get an overall average of just over 23 mpg with mixed city and highway driving. The EPA estimates of 21 mpg city, 31 mpg highway, and 25 mpg combined are easily attainable but I fell slightly short of the combined figure getting my average of 23.8 mpg. I was still able to muster out about 30.8 mpg on the highway on a decent 100 mile-long highway trip. 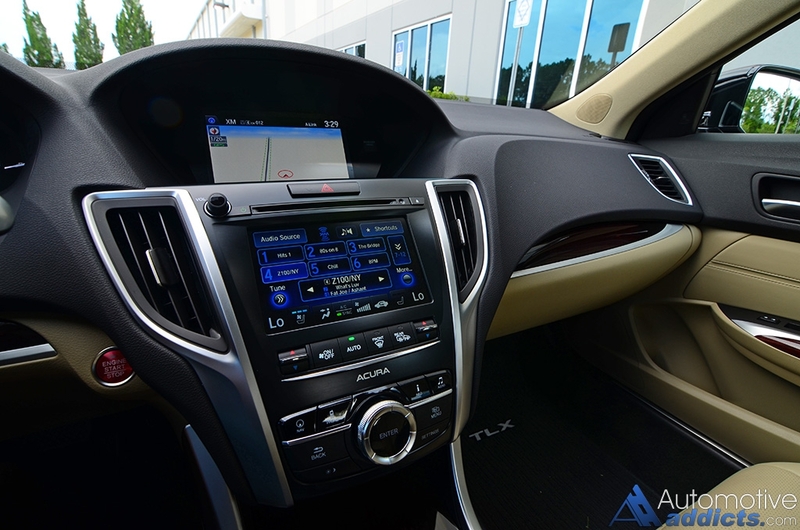 Use of Acura’s push button transmission controls take a while to engage but open up the cabin without the normal obstruction created by a floor shift lever. 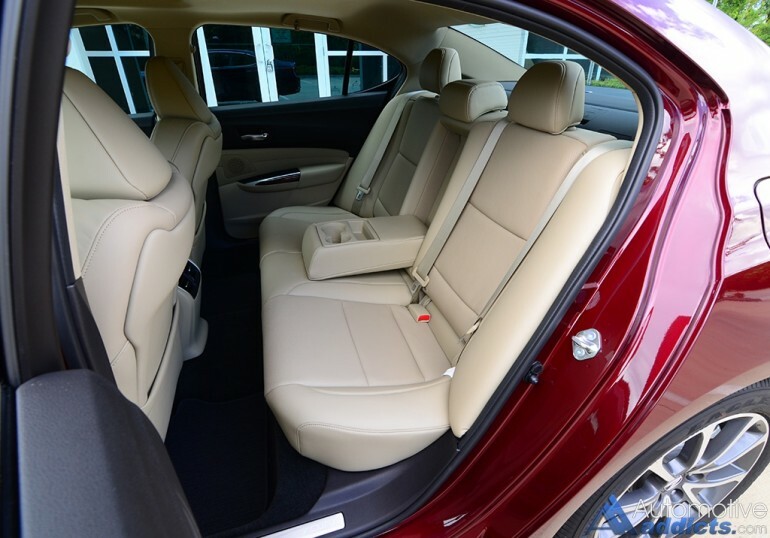 Inside the new TLX Advanced Package, you will also find a bevy of creature comforts that complete the expected luxury theme, which includes automatic heated and cooled front seats with 8-way power adjustments, perforated leather seating surfaces, and a decent fit and finish with minimal wood trim and several soft-touch surfaces. Acura attempts not to leave the exterior of the TLX out of the luxury foray but appears to place a contemporary design theme ahead of being flashy or bold. 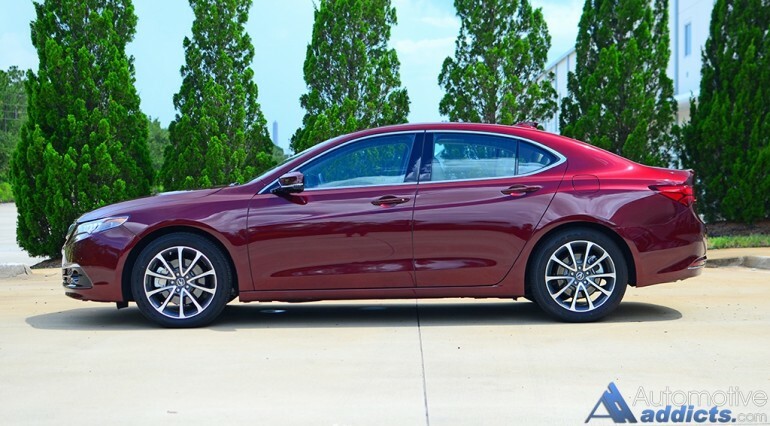 No doubt, the TLX will continue to captivate entry-level luxury seekers who look to long-term ownership due to Acura’s touted reliability record. The judicious use of advanced tech is at the forefront of what the TLX Advanced Package offers apart from its intricate SH-AWD system. The TLX Advanced Package features adaptive cruise control, lane keep assist, collision mitigation braking, remote engine start, LED puddle lights, LED fog lights, heated/ventilated front seats, auto-dimming outside mirrors, and front/rear parking sensors. The pricing of the new TLX matched its signification within the luxury automotive spectrum as to not overshadow other outlandish offerings but retain somewhat of a contemporary angle. 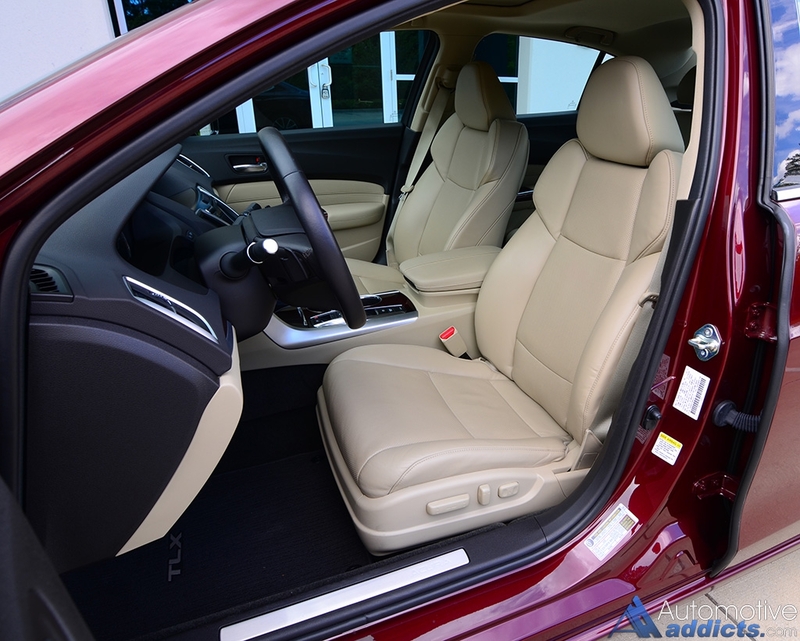 With that in mind, the 2016 Acura TLX starts at low $31,695 and my top-trimmed and fully-loaded TLX V6 SH-AWD Advanced Package lands at $45,720 including a $920 destination and handling charge. Be sure to check out my full review of the 2015 Acura TLX V6 SH-AWD Advanced Package here for additional information and a full synopsis on my thoughts.